If you have any questions about the MAIN information page below please contact us. 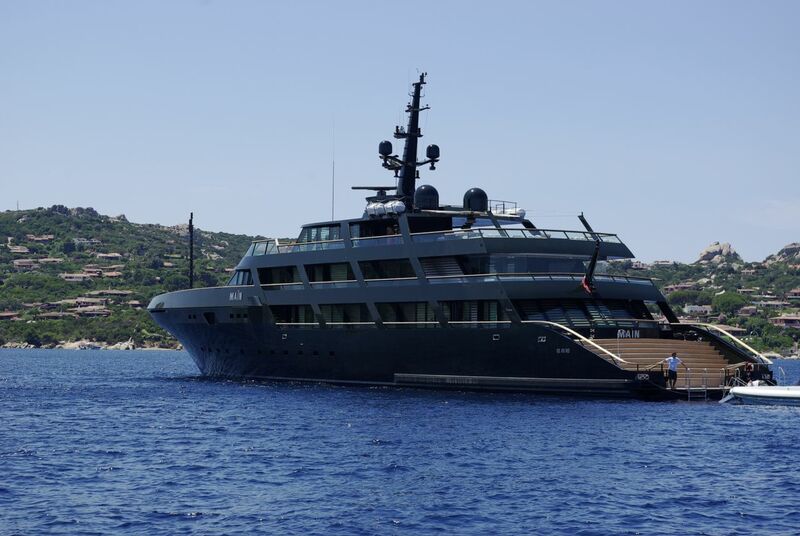 Built by Codecasa in 2008, 65m/213ft superyacht MAIN was the shipyard's first hull in its 65m series, followed by ETERNITY (ex.FAMILY DAY) and DOUBLE DOWN (ex.LADY LAU) in 2010. 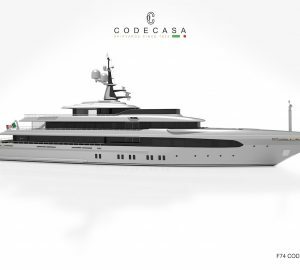 The exterior styling and naval architecture is by Codecasa and Studio Dellarole and Ortelli, who also worked in collaboration with Giorgio Armani to complete her interiors. 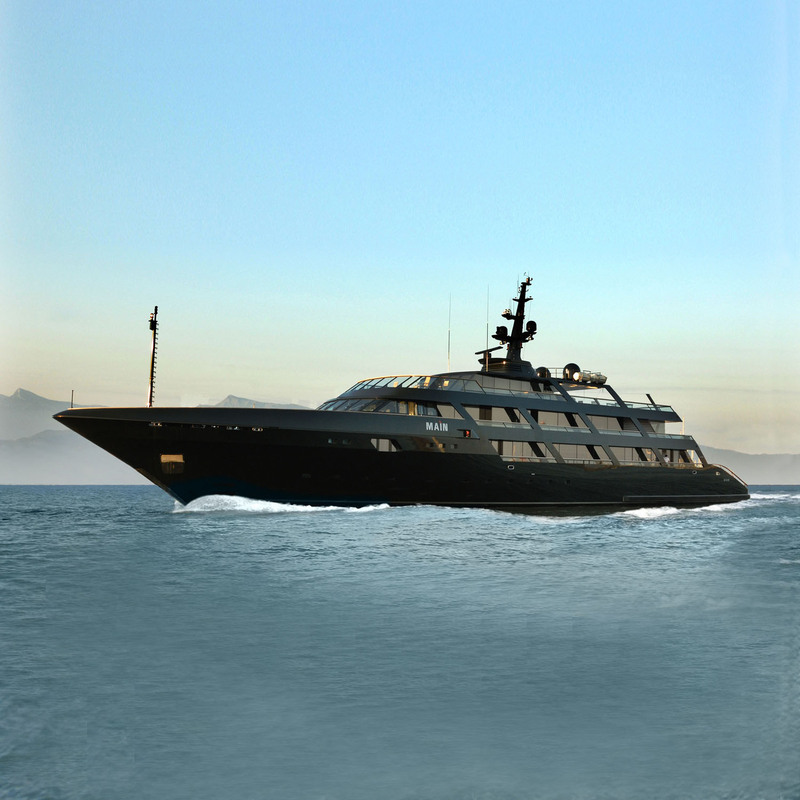 MAIN accommodates 12 guests in 6 generous cabins. 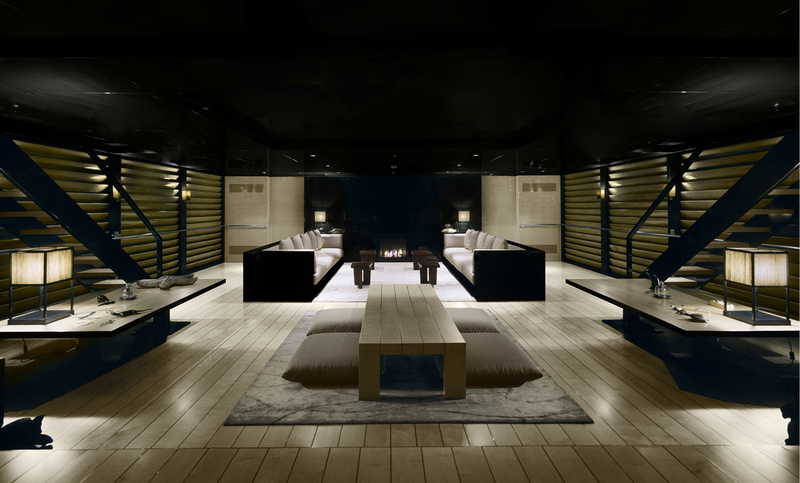 The interiors use a monochrome colour scheme, and the minimalist Asian aesthetic can be found throughout the main salon and the private cabins. The main salon is fitted with two sofas for group gatherings and a low table with cushions farther forward. On the upper deck, the sky lounge has the perfect atmosphere for evening entertaining and guests can gather on the L-shaped sofa for a conversation with drinks from the bar. A games table adds to the recreation options, and there is a low table with cushions for additional seating. The swim platform leads up to the main deck via a sweeping staircase ideal for photo shoots and capturing a large group gathering on a special occasion. Hidden behind blinds, the main deck cockpit contains two separate seating areas along the stern as well as a large bar. Up to 14 guests can dine alfresco in style on the shaded upper deck aft. The seating along the stern provides a place for guests to sit and socialise outside after a meal. The spacious sundeck aft has plenty of room for sun loungers with glass balustrades to ensure safety with uninterrupted views. The alfresco dining area seats up to 10 guests under the shelter of a hardtop. A Jacuzzi and sun pads are located on the sundeck forward. 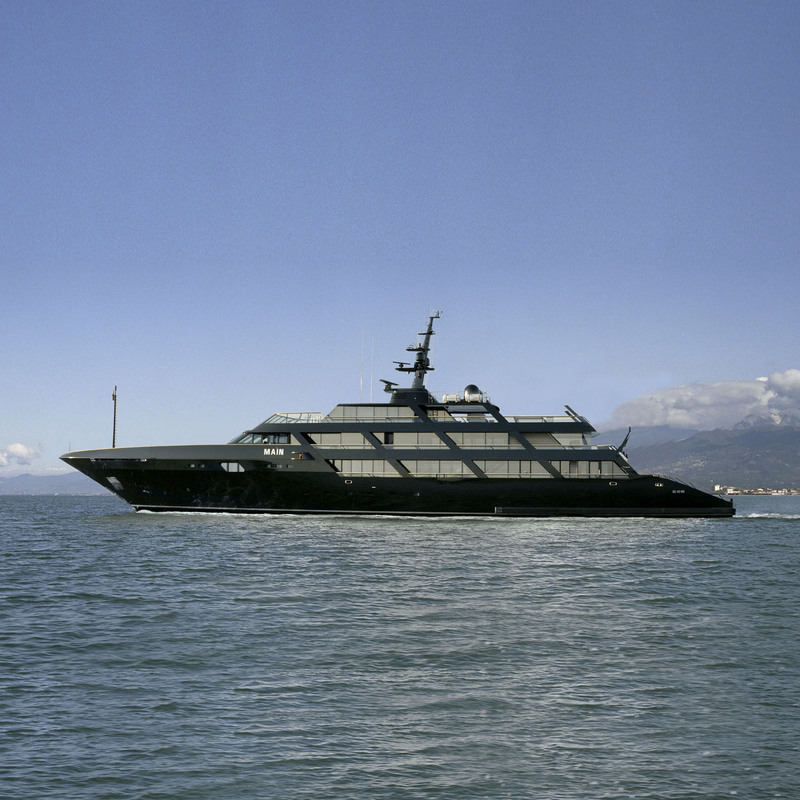 In 2008, M/Y MAIN received the RINA Award. Twin Caterpillar 3516 B engines producing 2448 HP allow motor yacht MAIN to achieve a maximum speed of 18 knots with a range of 6,000 nautical miles at 14 knots. The accommodation layout sleeps 14 guests over 7 cabins: 1 Master suite and 6 guest cabins. 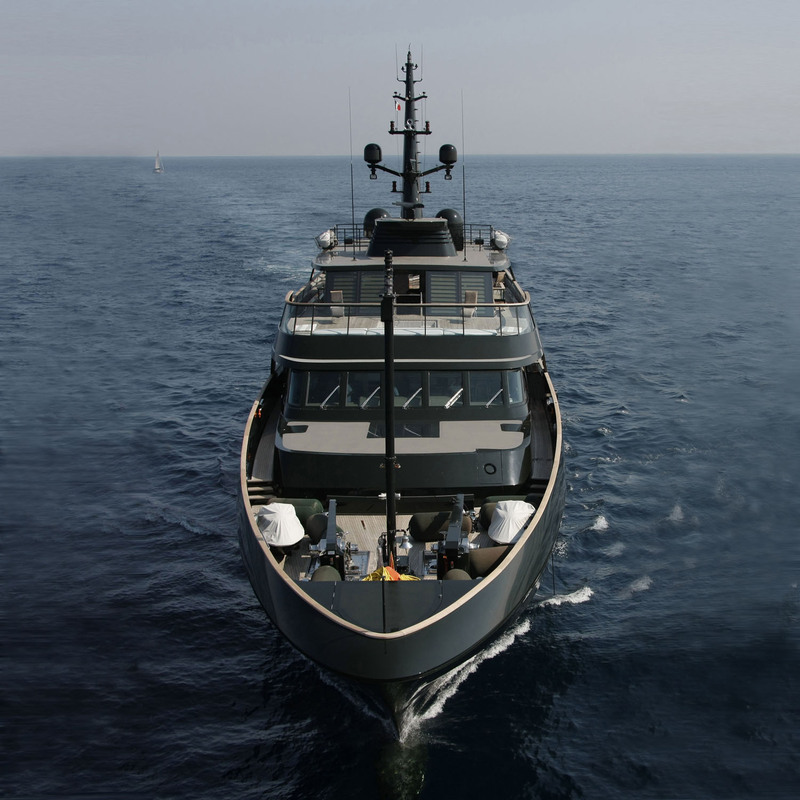 The crew are accommodated over 8 cabins: 6 double cabins, 1 Chief Engineer's cabin and 1 Captain's cabin. We do have available further amenity, owner and price information for the 65.00m (213'3") yacht MAIN, so please enquire for more information. 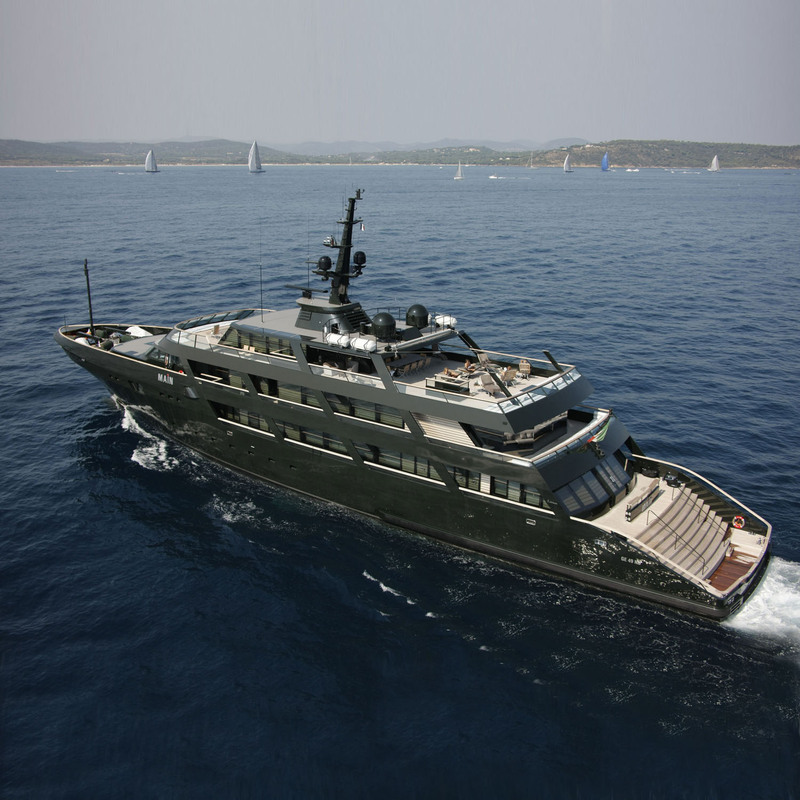 The luxury yacht MAIN displayed on this page is merely informational and she is not necessarily available for yacht charter or for sale, nor is she represented or marketed in anyway by CharterWorld. This web page and the superyacht information contained herein is not contractual. All yacht specifications and informations are displayed in good faith but CharterWorld does not warrant or assume any legal liability or responsibility for the current accuracy, completeness, validity, or usefulness of any superyacht information and/or images displayed. All boat information is subject to change without prior notice and may not be current.